"Stunning set pieces... Solid fare for no-nonsense spy fans." Battle Lines Have Been Drawn. The War Has Begun. James Hicks finally knows his true enemy: the criminal organization known as The Vanguard. They mysterious group has been known as an organization of weapons dealers, drug runners and money launderers for years, but has now decided to add regime change to the mix. But knowing the enemy is one thing. Being able to defeat it is another matter entirely. When Hicks uncovers a solid lead on his new adversaries, his world explodes. His home base is attacked, his operatives in the field are wiped out and, for the first time, The University finds itself in open combat against an unknown enemy. 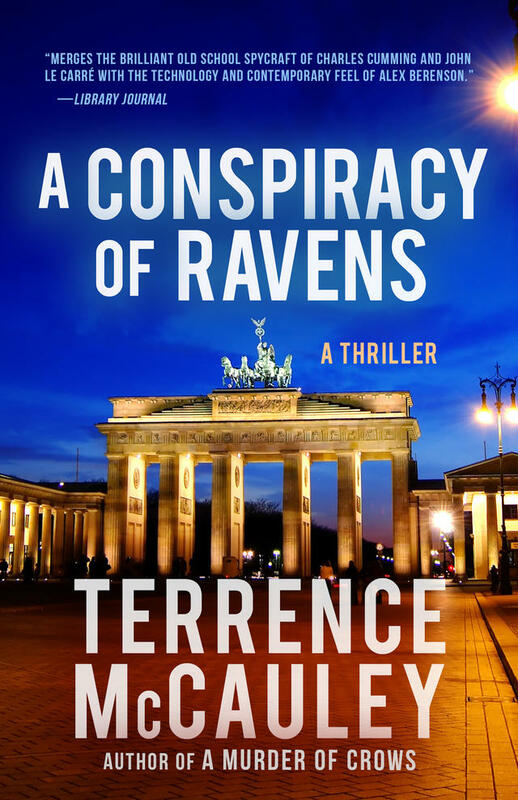 In a battle that rages from the streets of Manhattan to the halls of power in Washington to the dark alleys of Berlin, Hicks will have to use every resource at his disposal to defeat A CONSPIRACY OF RAVENS.